Sammy Hagar and The Circle are here to ROCK! The Red Rocker, Sammy Hagar, is here to make 2019 loud with his supergroup The Circle. 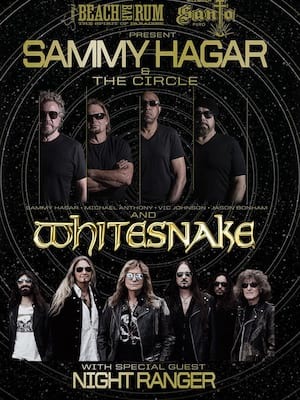 After years of playing Hagar's back catalogue of hits (including tunes from Van Halen and Montrose as well as his solo career) Sammy Hagar and The Circle enter 2019 with their debut album of original material! In celebration, the four-piece are heading out on tour, bringing their slice of Americana to fans across North America. Titled Space Between this album marks the second of the groups time together. Releasing their live album At Your Service way back in 2015, Space Between garners a welcome return for the group. As a legend amongst rock Sammy Hagar has had quite the glittering career. Between turns in Montrose, Van Halen and his solo tunes Hagar has been welcomed into the Rock and Roll Hall of Fame as well as founding his own Tequila brand, Cabo Wabo Tequila and the subsequent chain of restaurants that came with it! 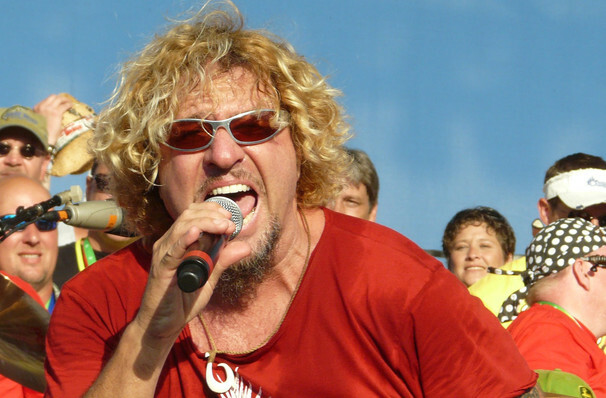 Don't miss your chance to see Sammy Hagar and The Circle live in tour town! Seen Sammy Hagar? Loved it? Hated it? Sound good to you? Share this page on social media and let your friends know about Sammy Hagar at Rockland Trust Bank Pavilion. Please note: The term Rockland Trust Bank Pavilion and/or Sammy Hagar as well as all associated graphics, logos, and/or other trademarks, tradenames or copyrights are the property of the Rockland Trust Bank Pavilion and/or Sammy Hagar and are used herein for factual descriptive purposes only. We are in no way associated with or authorized by the Rockland Trust Bank Pavilion and/or Sammy Hagar and neither that entity nor any of its affiliates have licensed or endorsed us to sell tickets, goods and or services in conjunction with their events.